We are open Monday through Friday, Noon - 8:30pm by appointment only. Please send us an email to get in touch. « Laycock Overdrive Units/What oil? 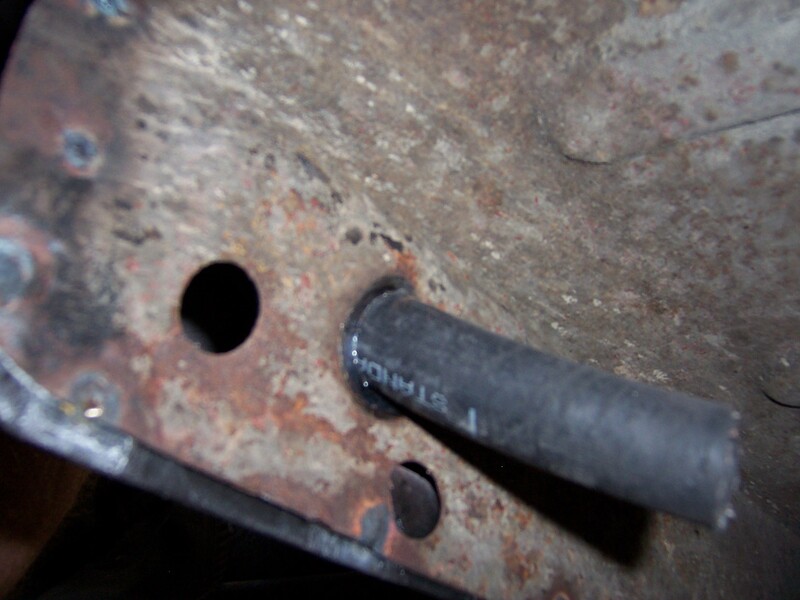 A design problem that exists with the Triumph TR4 thru TR6 range of cars is the drain of water that enters the cowl via the vent opening below the windscreen. The factory design routed the water out of the cowl via two metal tubes on either side, with rubber extensions exiting out between the inner and outer fenders. Small reliefs pressed into the bottom of the front fenders was supposed to allow the water to drain, but in very short order, these reliefs were plugged with road sling, mud, leaves, small critters, etc., effectively plugging these slots creating a soggy mess that rarely dried out. 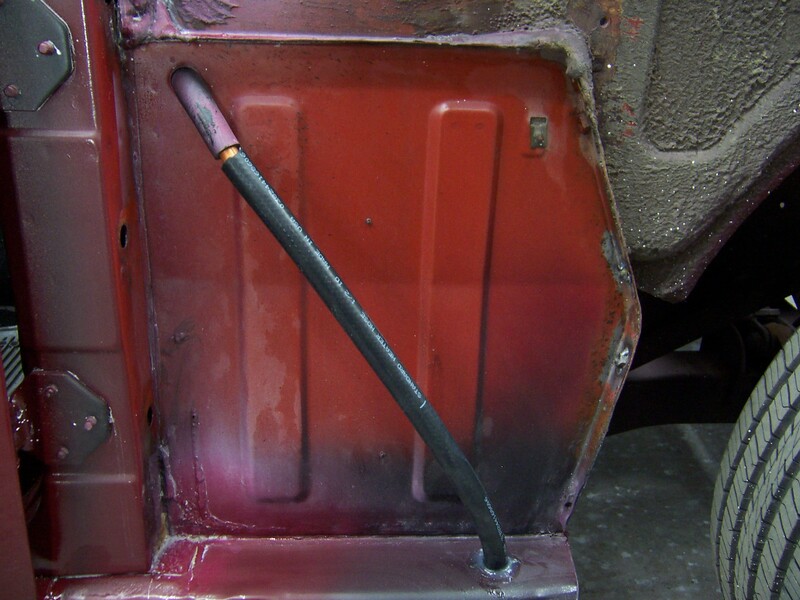 This soggy mess then caused premature rusting of the forward inner sill and lower front fender area. It is rare for me to disassemble a TR body from this era and not have a certain degree of rot caused by lack of adequate drainage. Several years ago I devised a simple but effective solution to the water drain problem. As you can see by this photo, I insert a small section of 1/2 in. copper pipe into the factory rubber tube, then route additional rubber hose down and out thru the forward inner sill and out the bottom. 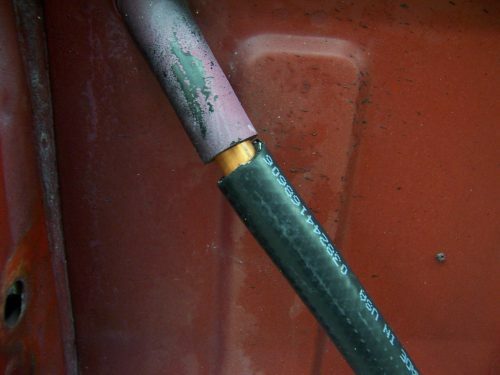 If you have ready access to the underside of the inside bulkhead, the rubber hose can be replaced in it’s entirety from the metal tubes. 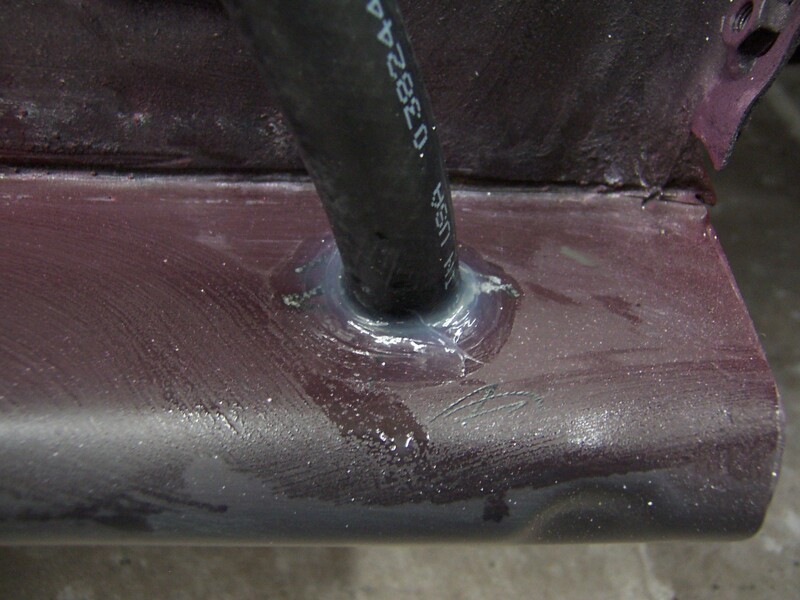 The holes in the inner sill drilled for the hose are sealed with clear silicone. The reason the routing appears to be far forward is the frame rail inside the lower sill opens up to allow the drill body and hole cutter to reach. Further aft, the access to the inside sill is restricted by the frame side rail. This entry was posted on Monday, July 19th, 2010 at 1:07 pm	and is filed under Tips and tricks. You can follow any responses to this entry through the RSS 2.0 feed. Both comments and pings are currently closed.